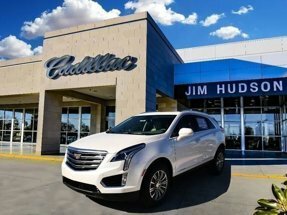 Description This 2019 Cadillac XT5 FWD 4dr Luxury is offered to you for sale by Jim Hudson Buick Gmc Cadillac. Want more room? Want more style? This Cadillac XT5 is the vehicle for you. Today's luxury vehicle is not just about opulence. It's about a perfect balance of performance, comfort and attention to detail. This 2019 Cadillac XT5 is the perfect example of the modern luxury. The look is unmistakably Cadillac, the smooth contours and cutting-edge technology of this Cadillac XT5 FWD 4dr Luxury will definitely turn heads. Based on the superb condition of this vehicle, along with the options and color, this Cadillac XT5 FWD 4dr Luxury is sure to sell fast.